Home / Highlights / The GEP VET Toolbox gets overcrowded! 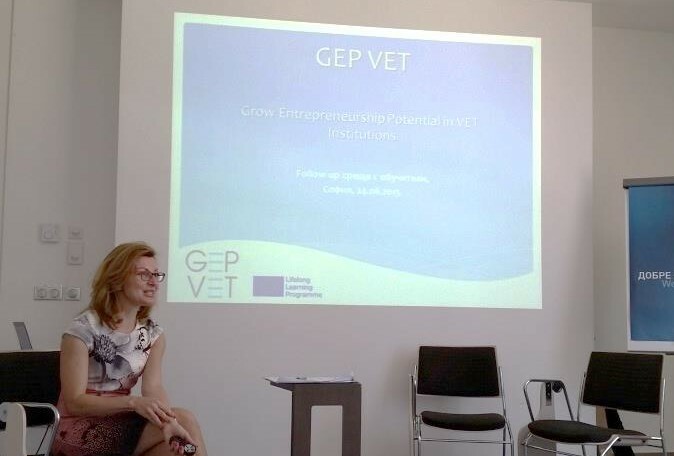 As you know, the carefully developed GEP VET Toolbox was launched earlier this year and a wave of trainers from all over Europe started piloting the training modules and encouraging entrepreneurial spirit. After the initial enthusiasm in the piloting of the trainings, the GEP VET Team wants to look back more critically in the search for improvement of the Toolbox. The goal is to make this tool an intuitive, easy to use measure in the popularization of entrepreneurship in companies and in the VET sector. Therefore, series of events are currently organized and conducted in all partner countries, in order to gather direct feedback about the practical implementation of all training modules. If you are a trainer, that has piloted some of the training modules in our Toolbox or has used its great Needs Analysis tool – please, drop us a line at o.mineva@catro.com about your experience and feel free to share any suggestions for improvements!